Episode 137: Constance Zimmer And Jeffrey Bowyer-Chapman — RuPaul: What's The Tee? In this episode Ru and Michelle are joined by Constance Zimmer and Jeffrey Bowyer-Chapman. They discuss Patti LuPone, Andrew Lloyd Webber, their Oscar picks, Call Me By Your Name, Get Out, Entourage, House of Cards, UnReal, Constance's Colette, Ellen, how Constance joined UnReal, and how obvious is a good script. 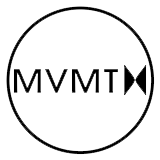 MVMT Watches (pronounced Movement) was founded on the belief that style shouldn’t break the bank. MVMT changes the way consumers think about fashion by offering high quality minimalist products at revolutionary prices. Get 15% off today —WITH FREE SHIPPING and FREE RETURNS—by going to www.mvmt.com/ru.